Do you love sushi as much as I do? 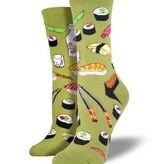 Then these wasabi green sushi socks are for you! 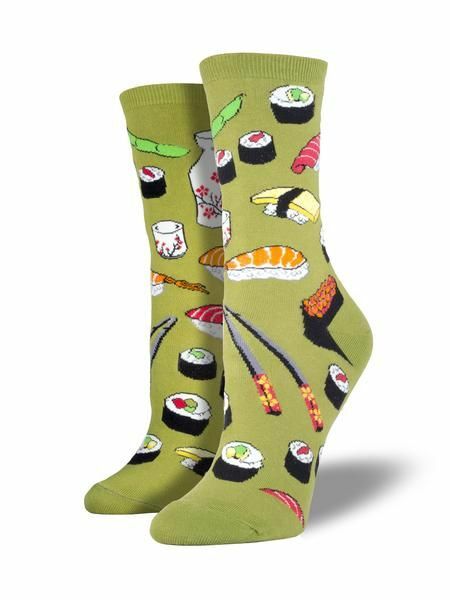 Featuring chopsticks and a variety of sushi rolls, wear these on your next sushi excursion and your outfit will definitely be on a roll.